to the Bunuba people of the Kimberley. 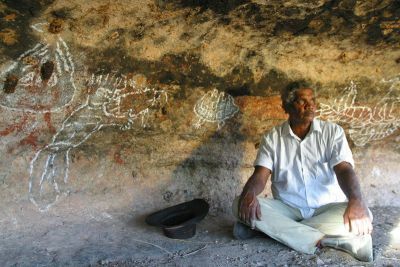 Join respected Bunuba elder, Dillon Andrews on a culturally insightful journey that takes you through the heart of Windjana Gorge, revealing a side of this spiritual place few get to experience. Be inspired by a landscape of immense environmental and cultural heritage as you learn about the Bunuba people and expand your understanding of Aboriginal people and the world's oldest living culture. abound, if you know where to look for them. See freshwater crocodiles basking in the sun, brolgas, water monitors and vast numbers of fruit bats high in the trees taking refuge from the heat. 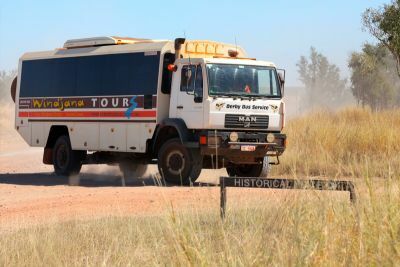 Everywhere you go – especially if you’re with a Bungoolee Tour, you’ll see sights, animals, trees and plants that will amaze and fascinate you, and you’ll go home with a new appreciation for this astounding land, its history and the unbreakable connection that the Bunuba people have with it.